Summerfield MI Ltd was one of the UK’s leading and longest established distributors of musical instruments and accessories serving music stores in the UK and Ireland for over 54 years. It closed, due to the retirement of the directors in May 2018. Ashley Mark Publishing was a division of Summerfield MI Ltd. In 1978 Maurice Summerfield completed the first edition of his book 'The Jazz Guitar: Its Evolution, Players and Personalities Since 1900'. The book now in its fourth edition, was an immediate success. However, Maurice received numerous letters from readers saying they were finding it difficult to obtain many of the books and music albums recommended in the book. At the time he was managing director of Summerfield Musical Instruments, a leading UK musical instrument distributor and, as the Summerfield family business had been involved in the import, export and wholesale distribution since 1900, Maurice saw the potential for a new business, offering by mail order, specialist music books for the jazz guitarist. 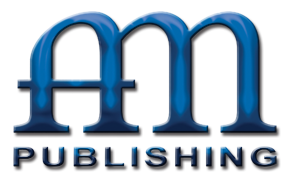 In 1978 the Ashley Mark Publishing Company was born, a guitar book, music and recording mail-order business (www.FretsOnly.com), for all styles of guitar playing. 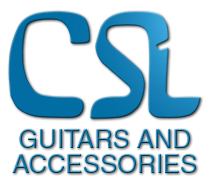 This business supplied over 6000 titles to guitarists in over 80 countries for over 40 years. It closed in May 2018 due to the retirement of its directors. Maurice J. Summerfield was born 4 February 1940 in Newcastle upon Tyne in the UK. He played the guitar professionally in diverse jazz groups and dance bands, in the North East of England, in his late teens and early twenties. He had studied in 1957 with Ivor Mairants in London. His interest in music and in particular the guitar encouraged him in 1963 to introduce a range of musical instruments into the range of goods imported and distributed by the Summerfield family business (founded 1900). He had joined the company in 1958. From that time Summerfield Musical Instruments became one of the most prominent importers and distributors of musical instruments in the United Kingdom. Over the years Summerfield distributed many world famous brands including Ibanez, Guild, CSL and Levin guitars, Tama percussion, D’Addario, C.F. Martin, Savarez and La Bella strings. Particular emphasis was always given by the company to the guitar, other fretted instruments and accessories. During his long association with several leading international guitar makers, Maurice J. Summerfield instigated the production of some important guitar models including the first authentic reproductions (CSL ‘Gypsy’ range) of the original 1930s Maccaferri/Selmer guitars used by Django Reinhardt and the Joe Pass JP20 guitar for the Ibanez company. 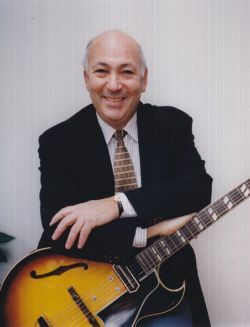 In 1978 Maurice J. Summerfield established the Ashley Mark Publishing Company a guitar book, music and recording mail order business (www.FretsOnly.com), for all styles of guitar playing. This now supplies over 6000 titles to guitarists in over 80 countries. In 1981 he founded 'Guitar Masters Records', a company producing quality guitar recordings under his personal supervision by David Russell, Jorge Morel, Jorge Cardoso, Maria Isabel Siewers, Neil Smith and Krzysztof Pelech. In September 1982 Summerfield founded 'Classical Guitar' magazine, now acknowledged internationally to be the finest publication devoted to the classical guitar. He sold this magazine to the String Letter Publishing Company (USA) in 2014. Summerfield, for many years from 1984, actively promoted concerts (including an annual classical guitar series at the Wigmore Hall in London) which featured, for their first appearance in the UK, many important guitarists including David Russell, Elliot Fisk, David Starobin, Jorge Morel, Jorge Cardoso, Roberto Aussel, Robert Brightmore, John Mills, Maria Isabel Siewers, Emanuele Segre, Juan Martin, Paul Galbraith and Neil Smith. From 1991 he also helped organize the first twenty annual international classical guitar festivals at West Dean in West Sussex. Summerfield also promoted concerts, seminars and clinics in the UK by many famous jazz guitarists including Barney Kessel, Joe Pass, Herb Ellis, Tal Farlow, Charlie Byrd, Martin Taylor, Ike Isaacs and by guitarists from other fields of music including classical, flamenco, ragtime and blues. For over 38 years Maurice J. Summerfield was a council member of the UK's Music Industries Association (MIA-formerly AMII and then AMI) general committee. In July 1997 he was elected to the Freedom of the Worshipful Company of Musicians (The Musicians Company) a City of London livery company. In December 1997 he received the Freedom of the City of London. In October 2003 he was elected to serve on the Court of the Musicians Company and was installed as its Master in November 2009. In May 2010 Summerfield was made an Honorary Associate of the Royal Academy of Music. In June 2013 he was installed into the Guitar Foundation of America’s Hall of Fame at their annual convention held in Louisville, Kentucky. In 2015 he donated a significant part of his archives to the International Guitar Research Centre (IGRC) at the University of Surrey. These archives are now known as ‘The Maurice J. Summerfield Collection’.